December of 2009, Rev. Allen was installed into the office of Pastor by ROMinisteries, Inc. by Pastor Lynda Davis Robinson. 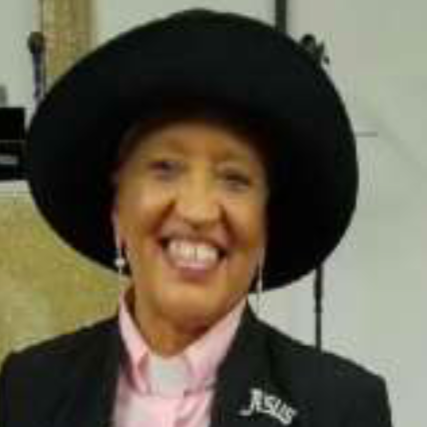 She currently serves on the ministerial staff of Palma Ceia Baptist Church under the leadership of Pastor Tommy E. Smith, Jr. and is the CFO for Solid Rock Church of God in Christ, Pastor Jerald K. Simpkins. Rev. Allen also serves the Lord at Holy Ground Ministry in Turlock under the leadership of Pastors John and Ann Hill. She served as host of the FOR CHRIST SAKE TELEVISION MINISTRY for many years. Her greatest passion is teaching….she absolutely loves God’s Word and the mysteries it continues to unfold to help along life’s journey. Reverend Allen is married to Lamont Wylie Allen. Together they have four daughters, one son, seven grandchildren and six great grandchildren.